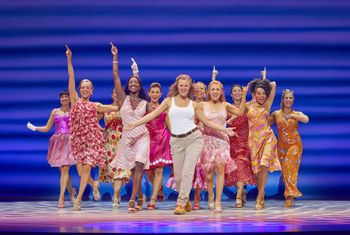 To date, it has been seen by over 60 million people in 50 productions in 16 different languages. In 2011 it became the first Western musical ever to be staged in Mandarin in the People’s Republic of China. MAMMA MIA! became the 8th longest running show in Broadway history where it played a record-breaking run for 14 years. MAMMA MIA! continues to thrill audiences in London’s West End at the Novello Theatre where it will celebrate its 20th Anniversary on 6 April 2019. Priority on sale for Bradford Theatres Friends from 9am on Monday 3 December. Bradford Theatres Friends memberships are available to buy from £15 from the Box Office or at bradford-theatres.co.uk. Tickets go on general sale on Monday 10 December.